The Brecknell SBI-521 is loaded with many standard features. 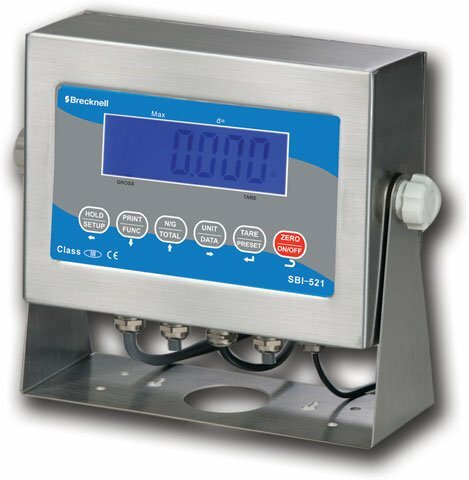 This indicator series is housed in a steel enclosure rated at IP65 and may be used in wide variety of applications from bench, floor scale, batching system, check weighing and more! The Brecknell AWT05-506154 is also known as Brecknell Scales	AWT05-506154	or AWT05506154	.